Hi guys, it's Lauryn! Today, I am back with another review after such positive feedback from my previous ones. I decided for this post, to review Benefit's Benetint and Posietint which are slightly older products but I only tried them out recently and had to tell you what I thought! So, anyone who knows me knows that I absolutely adore the Benebalm and Posiebalm so I just had to try the lip and cheek stains and I am not disappointed, to say the least. Starting with Benetint, it is a sheer, rose tinted colour which also smells amazing. Like I said before, it can be used on your lips or on the apples of your cheeks. I tend to use it on my lips over a lipstick however using it on your cheeks give you the perfect amount of rosiness which brightens up any make up look. I personally think that this is my favourite of the two because the rose undertones suit my skin colour more. 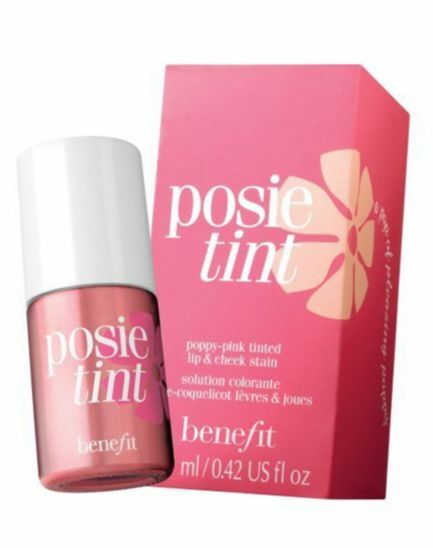 Then on to Posietint; an also sheer, beautiful poppy pink tinted colour which really adds that extra pop of colour to your make up. I like this colour because it is not too heavy and so is very useful for day to day use whereas the Benetint, due to the slightly more intense look, is more suitable for an evening look but I very much believe in wearing whatever make up whenever you want! Both tints are incredibly long wearing which I was actually surprised about but I will definitely be repurchasing both of them although I will not have to do that for a long time as you only need a small amount of the product to give you the most beautiful look! The only problem I have with these products is the formula used in them as the texture of the product sometimes feels slightly sticky on the lips however I do not have this problem when wearing it on my cheeks. All in all, I think that these products are definitely a must for the make up bag as they are just great for any quick touch ups during the day or if you don't have a great deal of time before going out; these will be your holy grail. That's the end of today's post, I hope you enjoyed reading as much as I enjoyed writing and I can't wait to see you again next time! As always, if you have any queries or suggestions or you just want to say hi, please feel free to contact me and my contact information will be down below! Thank you so much for reading and I hope to see you here again soon!